Ball Plastic Pint Freezer Jars with Snap-On Lids, Two-Pack for just $3.76! Need an easy way to freeze leftovers? 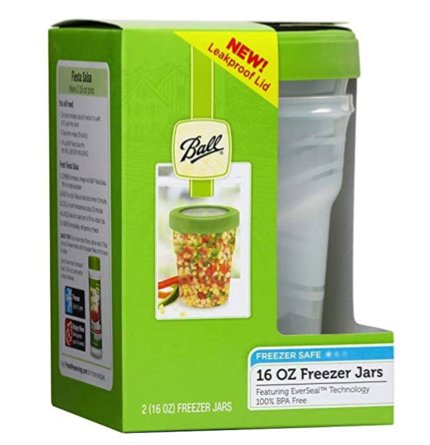 Check out this great deal on these Ball Plastic Pint Freezer Jars! Amazon has this two-pack of Ball Plastic Pint Freezer Jars with Snap-On Lids for just $3.76 — the lowest price on record! « Slip-On Boat Shoes only $12.99 shipped!